I.C.C. International Public Company Limited was formerly widely known as International Cosmetics Public Co., Ltd., due to its original line of business in cosmetic products. Over the past 53 years of operation, the company expanded its line to cover fashion products, including men's wear, women's wear,children's wear and also foods and household items. The name of the company reflects its ultimate mission to select and supply products with a touch of happiness and modernity to Thai consumers. However, in the past the company mainly focused on the local marketplace. In 1996 the company changed its name from International Cosmetics Public Co. Ltd., to I.C.C. International Public Company Limited The abbreviation "I.C.C." is widely used both within the company itself and also in the business community. I.C.C. 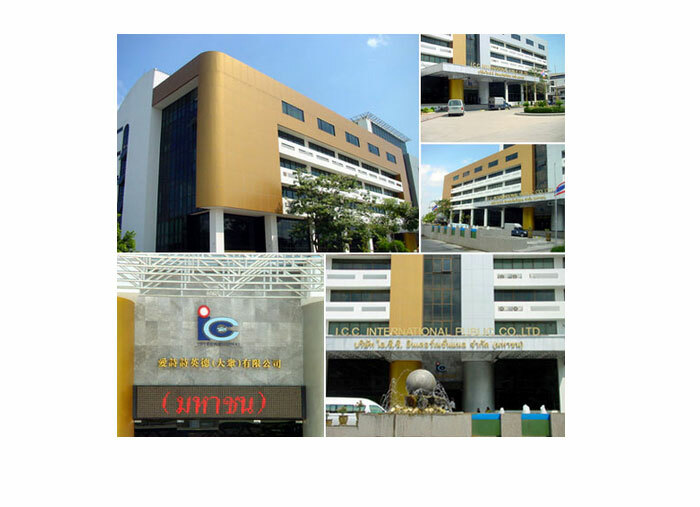 International Public Company Limited not only aims at supplying international products to theThai market as before, but under the new name, I.C.C. International Public Company Limited is also moving towards more international markets. I.C.C. has chosen its future direction to make it more in line with the vision set up by Saha Group,which is expected to grow ten times its present size within the next ten years. I.C.C. has expanded its operations, priding itself as the leader among companies within The Saha Group in opening new markets or expanding its current market-share, starting from Indochina,Southeast Asia to China.